gas...clutch...gas...CLUNK! Yeah that is annoying and worrisome. 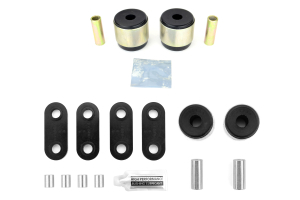 RallySport Direct has the cure pack to help solve that problem for you. 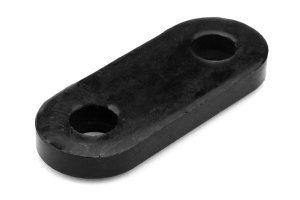 We have compiled the bushings needed to get rid of that clunk and add a smile to that face of yours. 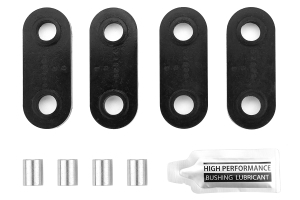 With the Whiteline Outrigger Bushings, Rear Diff Bushings, and Transmission Crossmember Bushings you will gain a crisp and solid feeling better than stock. So the next time when you BRAAAPclutchBRAAAP, there shouldn't be a clunk in there. The description Includes my 02 WRX but I get a “ this will not fit your car” message. Unfortunately the parts in the kit are not listed by part number. 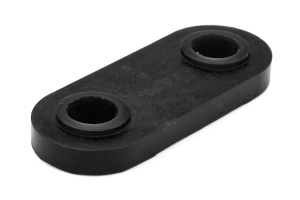 Will this fit my 02 WRX? A: We apologize for any confusion caused from the description. 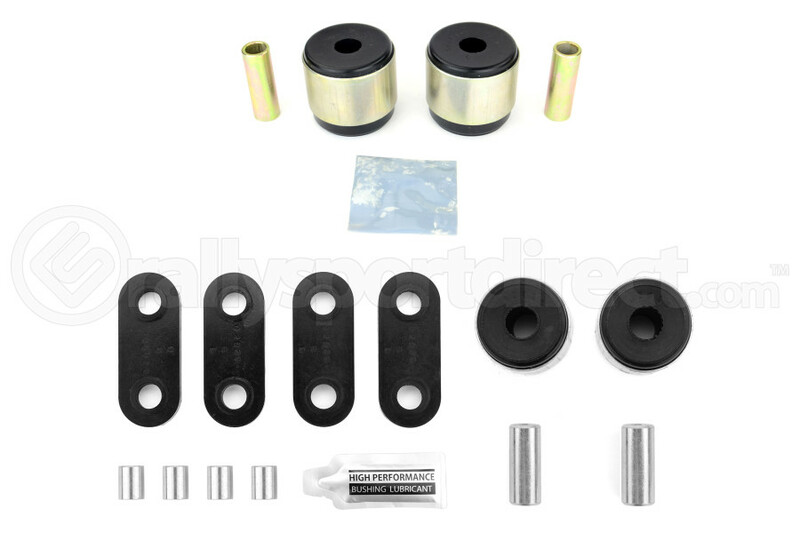 However, the reason this kit would not fit your 2002 Subaru WRX is due to the Rear Differential Bushings (Part # WHI W92835).